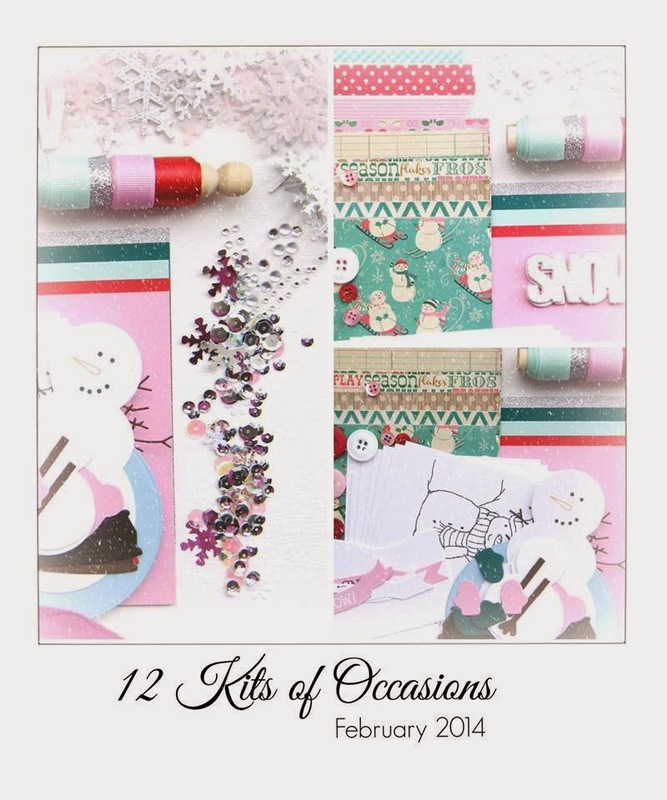 February seemed shorter than usual, and now it is time to post our projects for the 12 Kits of Occasions. Our hostess this month is Renee, and she sent the most wonderful and enormous package of goodies, all centered around snow. Living in San Diego, I don't encounter snow unless I am either traveling or crafting, and crafting with snow is quite fun. Those of you who live with snow might not think it is as much fun as I do. Here is a picture of Renee's kit, and you can click on over to the 12 Kits of Occasions blog to see a list of supplies. 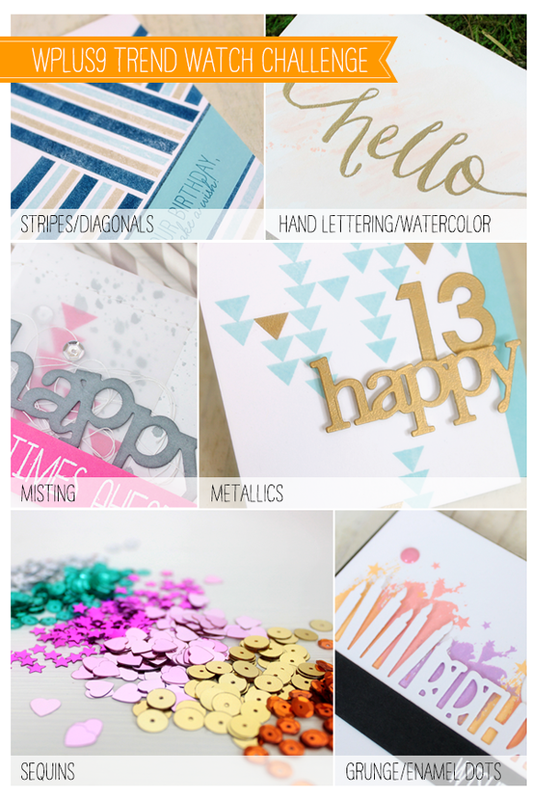 This kit was just bursting to the brim with fun goodies, great embellishments and beautiful papers. I made 6 cards and my kit looks like has not been touched at all. There is a lot to see, so I'll get right into the cards. That's it for me this month. I am interested to see what everyone else did. I still do have quite a few things left over that I can use for CASE-ing. Thank you so very much, Renee, for sending such a wonderful kit. And, there's more. 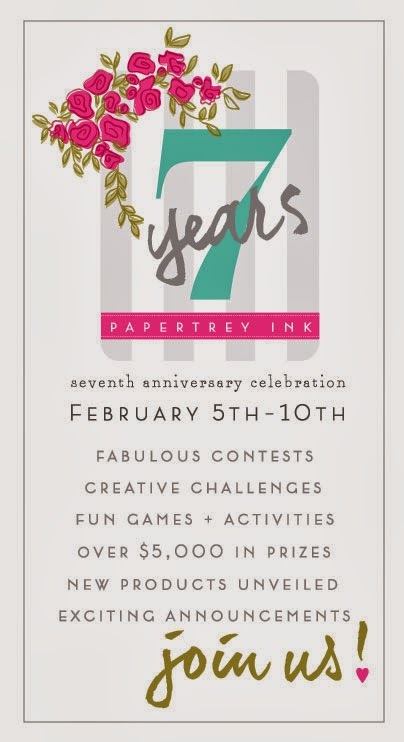 We have a special guest designer this month, Judy from Judy's Card Corner. 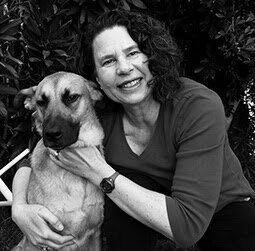 Judy is on the CASology Design Team with Tracey and me, and I can not wait to see what she has done with this kit. Hi there. My card today is inspired by the photo from this week's Card Concept #4 and uses the watercolor background technique from this week's Make it Monday #156. I used my Inktense pencils for the watercoloring, grabbing bits of color from the pencil tip with my water brush. I embossed the sentiment on a banner die cut, and watercolored the rest of that die cut the same way I did the card background. I find that the Inktense colors are so much more vibrant than my normal watercolor set, and I can layer different colors on top of eachother, as they do not blend once they are set. I was inspired to pull out my Friendship Jar sets by the flowers in the glass jar in the photo. I do not know how to categorize this card, as I am usually somewhere in the Clean and Simple range, but I think this card is too busy for that. What do you think? We finally have some rain today--yay! 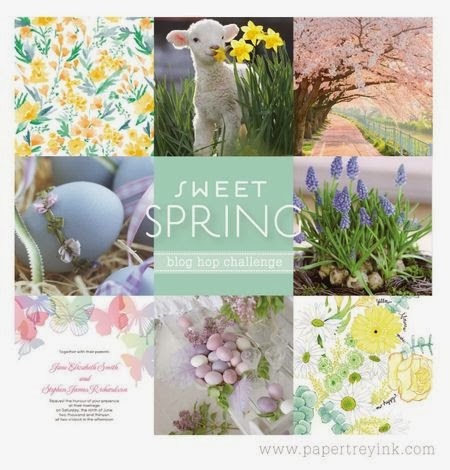 The challenge for this month's PTI blog hop is to create a project with a spring theme. That was pretty easy for me, as we seem to have skipped winter here in Southern California, and have had spring-like weather for weeks. That is not all good, as we are now dealing with a very severe drought. I had time to make two projects. 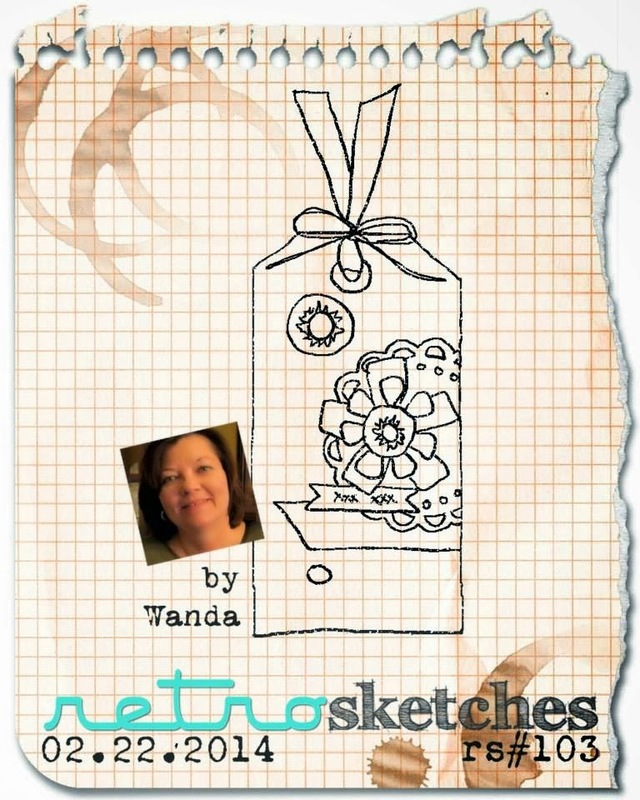 I used the sketch at this week's Retro Sketches rs #103 for my first card. The sketch is for a tag, which I attached to a card. I had to use my new Doodlie Do stamps, which I colored with Copics. My second card uses Sweet Spring, the picket fence die from Little Bitty Bird Additions, and lots and lots of fussy cutting. 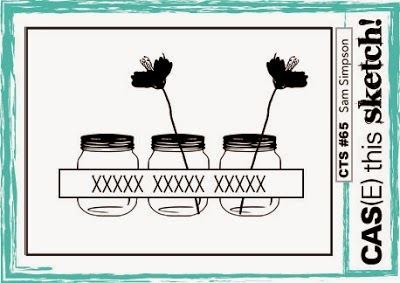 I had this idea in my head for this card--with flowers behind and in front of the fence, and didn't really think through how much cutting would be involved. Anyway, I am pleased with my little spring scene, and would love to have a little flower garden like this in my yard. I am looking forward to hopping around to see what spring looks like around the blogosphere. 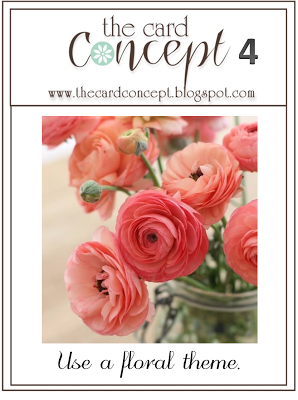 Edited to add that I am linking up both of these cards at The Card Concept #4 to use a floral theme, and I am classifying them as both Clean and Layered. It's time for a new CASology challenge. 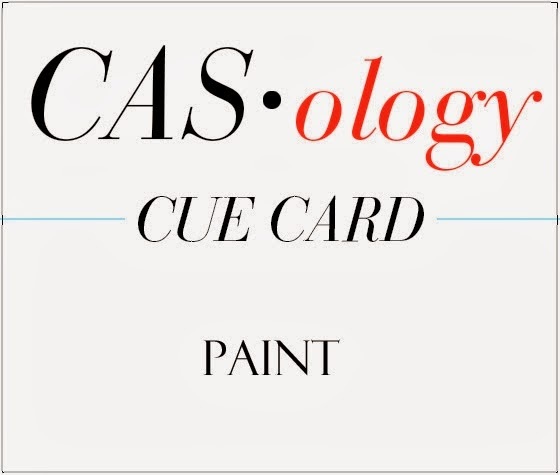 This week, our cue word is PAINT. How fun is that? 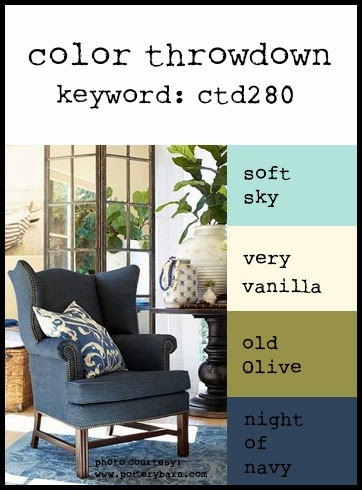 What do you think of when you hear the word PAINT? I had lots of ideas, and decided to bring my Watercolor Wonder stamps out to play. They hadn't seen ink in a while. I was in need of a get well card, so that is what I made. I knew that my sentiment was going to do most of the heavy lifting on this card. 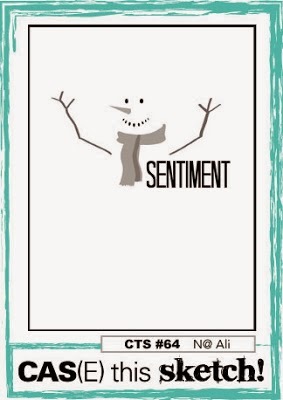 First, I stamped my sentiment, from PTI Sentiment Signs in the center of my card front panel. I used the same stamp from PTI Watercolor Wonder to stamp some color right over the sentiment. I used a die from Love Lives Here to cut a butterfly right out of the center of that sentiment. I cut the same butterfly out of card stock matching the colors of my paint, glued all 4 layers together, and then put them back into the negative space. That is my trick for getting everything all lined up when I've got a sentiment or an image that is on different levels. So, what do you think of when you see the word PAINT? Check out the beautiful designs from the CASology Design Team members and see how they were inspired by PAINT. Then, please play along and link your creation to the CASology blog by Sunday, March 2 by 4PM (CST). How will you be inspired by PAINT? 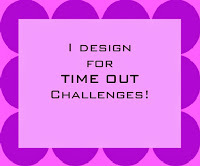 Well, this is crazy--two posts in one day--but I am trying to catch a few challenges that are about to end. I'll be brief. 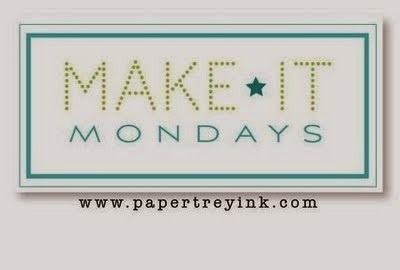 First up is a card for this week's Make it Monday #152. 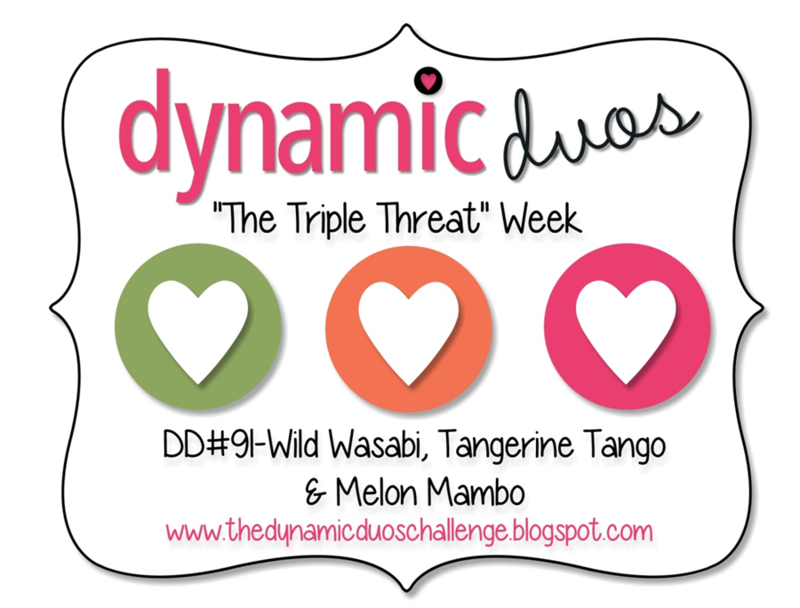 I used the colors of this week's Dynamic Duos DD#91--the closest I had were SU Pear Pizzaz, Calypso Coral, and Strawberry Slush. I used Fancy Flourishes with Fresh Snow ink, and Leave it Be stamps. I was surprised how well the technique worked, and the flourishes really show through, especially on the most solid stamp. This card is to help WPlus9 celebrate their birthday. The challenge is Week 3 Trend Watch, and I've incorporated several trends in my card--feathers, sequins, and gold. I used the colors from this week's Color Throwdown ctd280, and the sketch from CAS(E) this Sketch CTS #65 and Freshly Made Sketches FMS #124. I'm still trying to work my way around the blogosphere. If I haven't been by yet, I'll be there soon. Hello and happy Sunday. It feels like forever since I have made and posted a card. And, I am horribly behind in visiting all my blogland friends. My girls have been off from school for February break and we had grandparents, aunt, uncle and cousins visiting. It's been lots of fun, but very hectic. I plan to make my rounds around the blogosphere later today and can't wait to see what you all have been up to. On to the card....for this week's CAS(E) this Sketch CTS #65 and ColourQ cQc #229. I used SU Calypso Coral and Crisp Cantelope and PTI Ripe Avocado and Simply Chartreuse, since I did not have the exact colors. Even though I have just received some new PTI stamps from the February release, I decided to pull out Trendy Trees for my card. 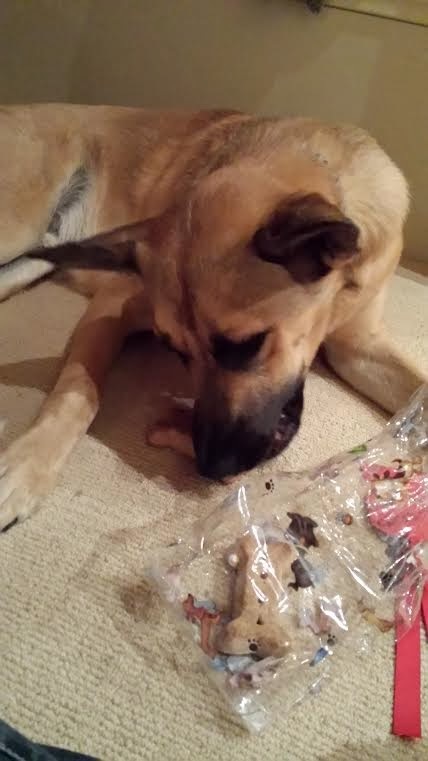 Just for fun...here is a picture of my main man on Valentines Day (please don't tell DH). 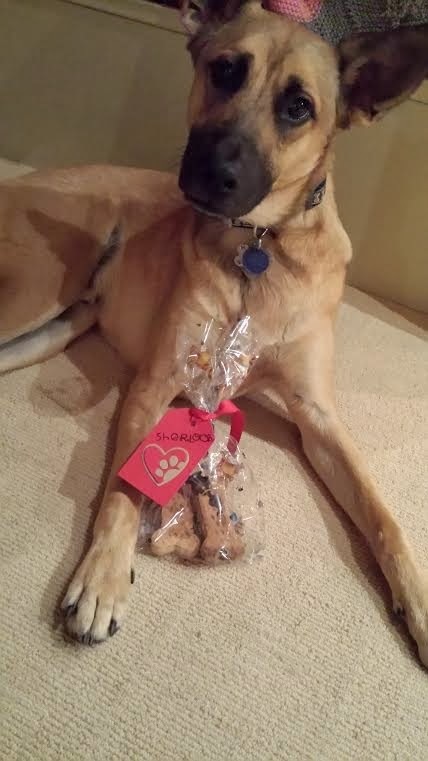 I also made treats for my favorite humans, but they did not let me take pictures. It's time for a new CASology challenge. 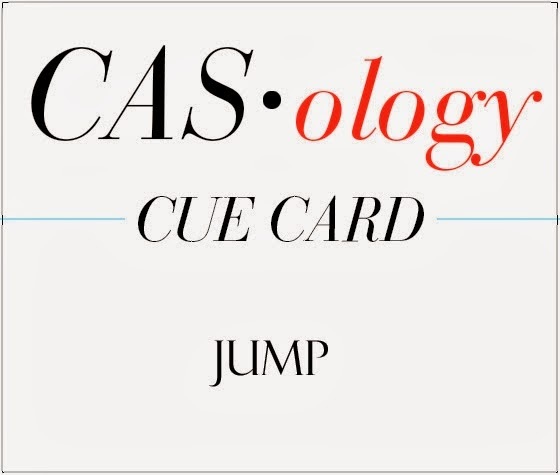 This week, our cue word is JUMP. How fun is that? What do you think of when you hear the word JUMP. I thought of this really cute little SU frog stamp from way back, where the frog is jumping. I could not get past that little frog, and since he had not seen ink in a really long time, I decided to bring him out for this challenge. I am not normally a fan of punny sentiments, but I had to make an exception for this little guy. Of course, he had to wish someone a hoppy birthday. I used papers from MME Hootenanny, and chose 5 different patterns to work with. I know they all match and work well together, because they came from the same pad. I used the SSS A2 Card Curved Edge die to cut some hills, and also paper pieced the frog with 2 of the less busy patterns in that pad. Of course, I had to give my frog googlie eyes. So, what do you think of when you see the word JUMP? Check out the beautiful designs from the CASology Design Team members and see how they were inspired by JUMP. Then, please play along and link your creation to the CASology blog by Sunday, February 23 by 4PM (CST). How will you be inspired by JUMP? I can't wait to see how you are inspired by JUMP. Well, things have calmed down here on the old blog....trying to get back to normal after all of those incredible PTI Anniversary Challenges. Today, I inked up a brand new Paper Smooches set that came in a couple of days ago--Hooties--and it is so cute and perfect for paper piecing. I used some new patterned SU paper that I ordered off clearance, and the sketch from CAS(E) this Sketch CTS#64. 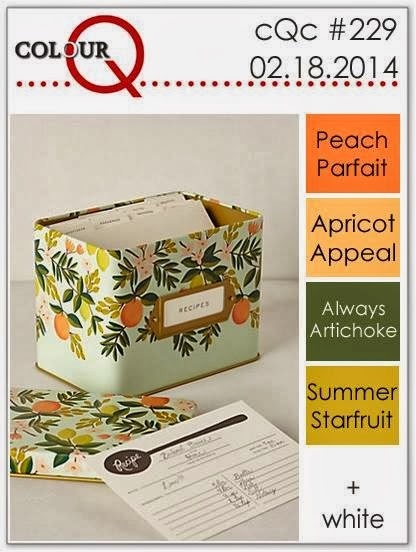 I am entering this card in the challenge at Paper Smooches to create something new that is FUN and CUTE. I also had a chance to play along with this month's One-Layer Simplicity Challenge #2: Can You Repeat That? I used the dress form image from PTI, stamped in a rainbow of colors. I tried coloring my own bling using Copic markers for the very first time, and I cannot believe how easy it is to get the perfect color of bling. 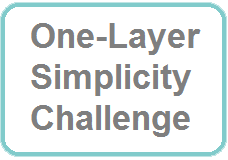 I really love these one layer challenges, and hope to play again before the month is out. The challenge at Simon Says Stamp Monday is We Love Stamps (and I really and truly do), so I will be entering both of these cards over there as well. A quick post with a few cards for PTI's 7th Anniversary Building Blocks Challenge. And two more cards for the Sketch/Recipe Challenge--I used the same sketch, recipe and stamp set (Quilled Elegance) for both cards. That's it for me today. I've been so far behind on visiting blogs, but I hope to catch up by tomorrow. Looking forward to seeing what everyone else has been doing these past few days.